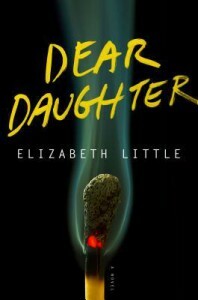 Ultimately Dear Daughter suffered from an author who seemed to use a snarky and obnoxious protagonist and overwrought and pretentious descriptions/metaphors to distract from the fact that the plot was cliché and mediocre. Jane seriously does not know when to quit it. The plot, which is extremely slow moving and at times leaves you wondering what the hell the point is, involves criminal/mystery cliches such as: cutting/dying hair for a new “identity”, police station break-in to somehow quickly find the very files you are looking for, decades old diary that breaks the case wide open found and complete strangers in a small town yapping openly about the very person the protagonist is attempting to locate. There are far more clichés, but this is a good handful of them. There was also a very aggressive and irritating blogger that in this day and age also felt cliché, though for different reasons. Said blogger also was predictable and added nothing to the story, in my opinion. Overall I found the writing style overwrought and subsequently too eye-roll worthy to enjoy. The author's talent is weighed down by her attempts to be clever and her plotting needs serious work. I am unlikely to read the author again.